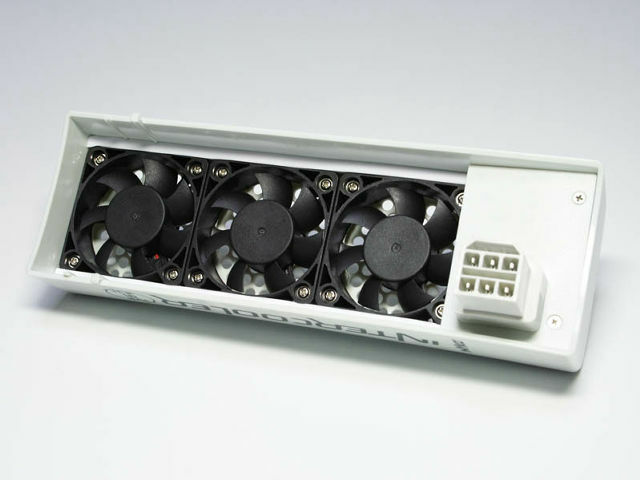 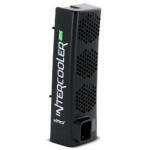 Reduce the internal operating temperature of the 360 while prolonging the consoles lifespan. 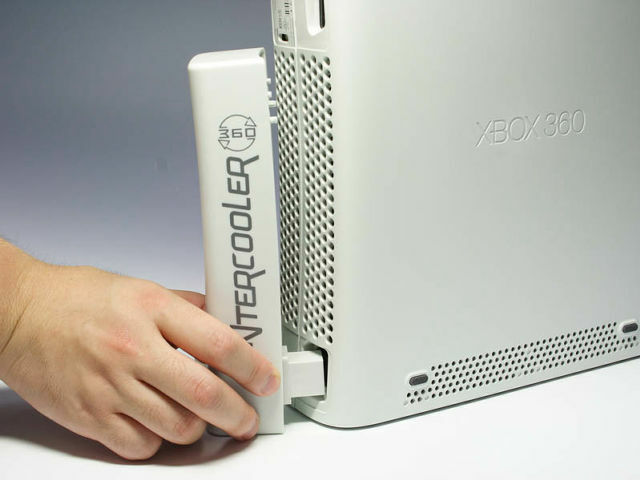 The Intercooler 360 is a snap on cooling attachment that easily connects to the Xbox 360 to significantly reduce the internal heat of the console. 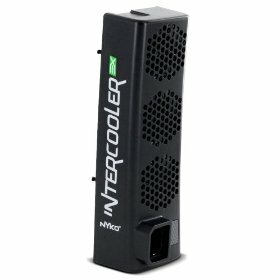 The Intercooler 360 provides increased air flow throughout the 360 which allows the internal circuitry to perform at cooler temperatures and last longer. 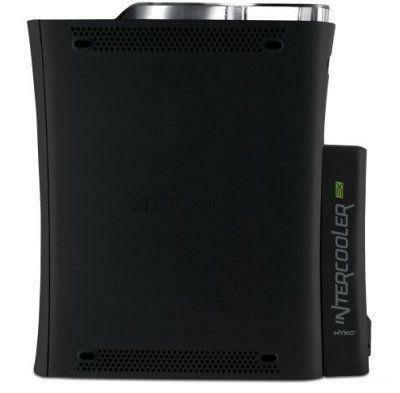 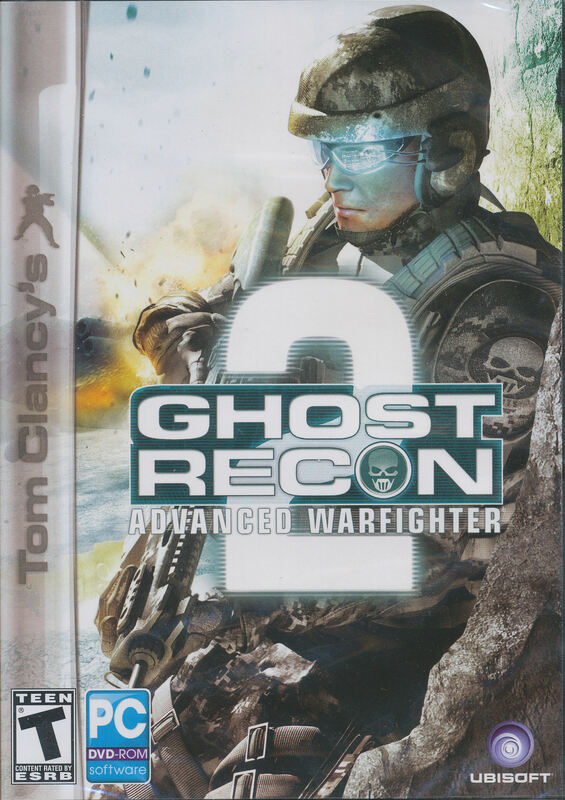 No internal modification of the Xbox 360 is required. 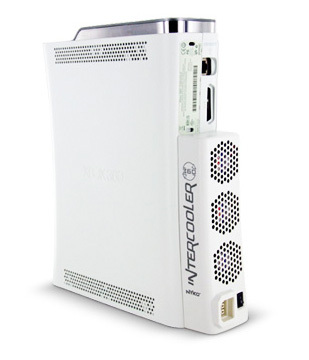 A pass through power connection utilizes the existing Xbox 360 power supply negating the need for an extra AC adaptor. 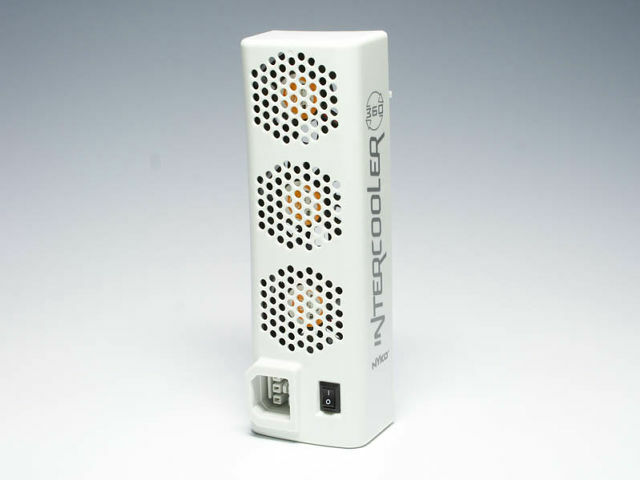 The unit also powers on and off automatically with 360 and the intercoolers small size will fit in tight spaces like entertainment centers with your 360 displayed in either horizontal or vertical format.